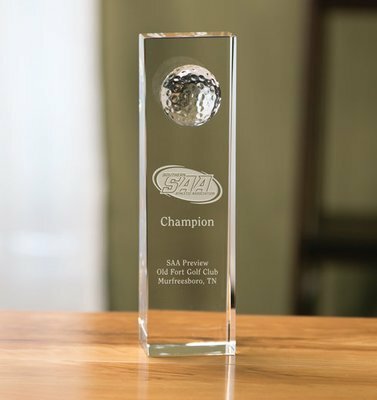 Recognize success and celebrate victory with our custom etched Crosley Golf Tower award. These pieces feature an optical crystal tower and an attached dimensional crystal golf ball. Available in three sizes, each award comes packaged in a protective presentation box.